Heavy duty platforms serve as a critical base for pipeline construction, small water crossings, tank farms, oil and gas drilling rigs, and many other industrial applications. We construct durable Steel Framed Mats that offer easy setup and dependability in order to meet your specific needs. 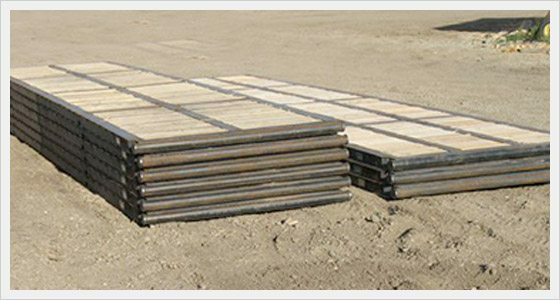 Constructed with a rigid combination of steel and wood, rig mats are designed to endure the heaviest loads.